Home >> Daily Dose >> 10 Fastest Appreciating Housing Markets in the U.S.
10 Fastest Appreciating Housing Markets in the U.S. Residential home prices are set to appreciate at 4.4 percent nationally, over the next 12 months, according to Veros Real Estate Solutions' (Veros) VeroFORECAST that was released on Tuesday. However, housing markets out West are likely to see a much faster appreciation that the rest of the country, the forecast predicted. The latest quarterly forecast covers the 12 months from June 1, 2018, to June 1, 2019, and integrates data from 1,005 counties, 354 metropolitan statistical areas (MSAs), and 13,877 ZIP codes covering 82 percent of the U.S. population. The forecast for Q2 2018 projected that the 10 highest-appreciating markets were concentrated in five states in the West. The forecast also found ten markets that were projected to see a slight depreciation in home values over the next 12 months. All these markets were in the East and South, Veros said. Veros has predicted that all ten of the highest appreciating MSAs and 21 of the top 25 markets will be concentrated in Washington, Idaho, Oregon, California, Utah, Nevada, and Colorado over the next year. 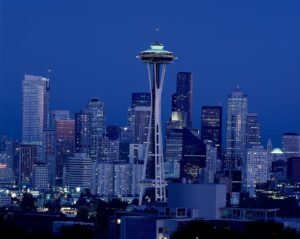 Narrowing down to MSAs, it said that the Seattle-Tacoma-Bellevue area in Washington would see double-digit price increases at 11.1 percent, followed by Olympia and Bremerton-Silverdale, Washington at 9.8 percent. San Jose-Sunnyvale-Santa Clara in California and Carson City in Nevada were set to appreciate at 9.5 percent. Despite migration to Seattle from California's Bay Area and Silicon Valley, the report said, the San Jose market is one of the top five markets for appreciation this quarter. "The San Jose market remains exceedingly strong with a supply of homes at an extremely low one months, while its population is continuing to grow steadily. Its unemployment is an extremely low 2.6 percent," said Fox. "The Silicon Valley continues to attract workers for high tech jobs, and there isn't enough housing to fill demand, making this one of the strongest markets in the country." Other markets that were among the top 10 included Reno-Sparks, Nevada; Mount Vernon-Anacortes, Washington; Pocatello, Idaho; San Francisco-Oakland-Fremont, California; and Eugene-Springfield, Oregon. Previous: Can Home Equity Solve Rising Debt for Consumers?